The Department of Student Life, in partnership with Residence Life and Housing, has announced Tarana Burke, founder of the “Me Too” movement, for the 9th annual UCCS Significant Speaker Event. Burke has worked for more than 25 years to promote social justice and to lay the groundwork for a movement that was initially created to help young women of color who survived sexual abuse and assault. The movement aims to inspire solidarity, amplify the voices of thousands of victims of sexual abuse and put the focus back on survivors. The “Me Too” movement was featured as the TIME Person of the Year in 2017. Burke is also the senior director of the Brooklyn-based program “Girls for Gender Equity.” Her inspiring story and message is what led to her being chosen as the 2019 UCCS Significant Speaker. According to Cucchiara, while in the early stages of selecting a speaker, the founder of the ‘Me Too’ Movement was entering the college market and the opportunity fell into his lap. “I thought, ‘This is great! We’re definitely interested in this.’ So I went back to that student group and they were very interested,” said Cucchiara. Burke has spoken at over 100 colleges. Her entire 2019 calendar is already full for speaking events. “We were one of the second to last states that she was able to book,” he said. The Significant Speaker Event sets out to expose students to very large societal based topics and encourages them to converse with someone who is relatable — both inside and outside the classroom. Students are encouraged to attend Burke’s speech to participate in an educational discussion on the “Me Too” movement. “There are a lot of misconceptions about what the ‘Me Too’ movement is. 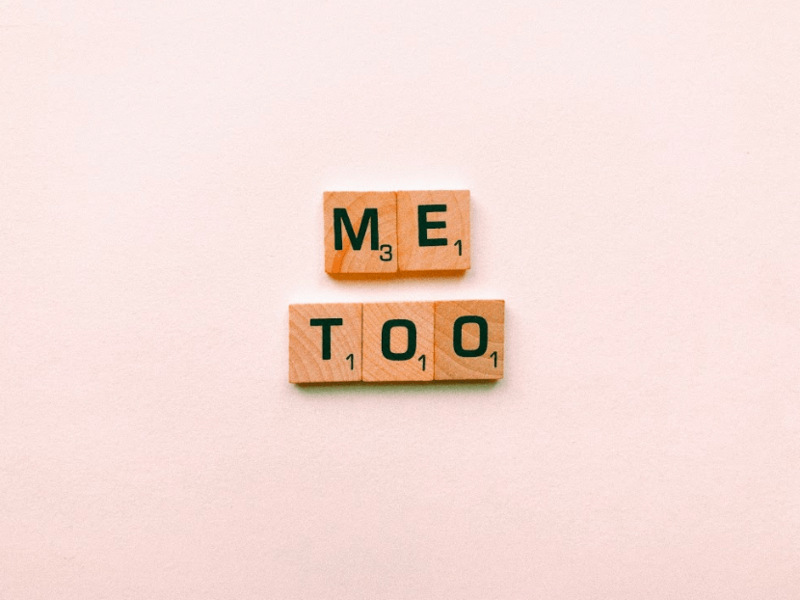 I believe that the ‘Me Too’ movement stands for more than what it is perceived to be. It’s about speaking up — for everything. [By attending the event] students can learn how they can create a culture that supports this in the university setting,” said Cucchiara. Each year, the event is highly successful. Of the previous years’ eight events, five have completely sold out. To involve students in the event, Student Life incorporates the Student Committee and hosts a Student Introduction competition where students can apply to introduce the speaker. The application for the competition begins in March. The 2019 UCCS Significant Speaker will take place at UCCS on Apr. 16 at the Gallogly Events Center. The event is open to students, faculty and staff and the public. 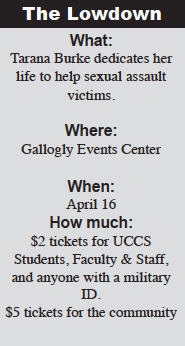 Tickets will be $2 for all UCCS students, UCCS Faculty/Staff, and anyone with a military ID at the University Center Information Desk. Tickets for community members will be $5 and can be purchased online here, and also at the University Center Information Desk.